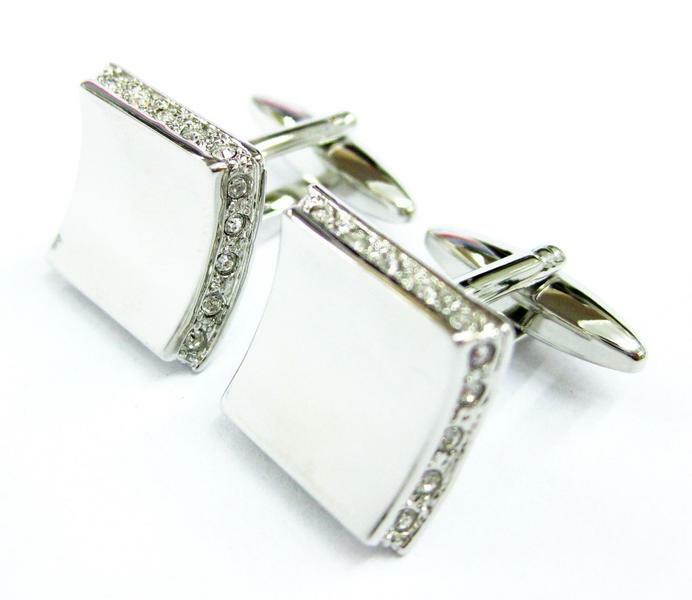 These Swarovski cufflinks are coloured in pure white in combination with silver. Cufflinks are square shaped and lower and upper side is gibbous in the space, which makes 3D effect and also makes the shape of the cufflink more insteresting. 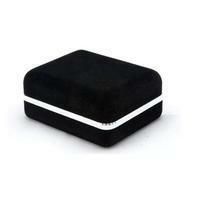 Sides of the cufflink are decorated with little rhinestones on the full length. 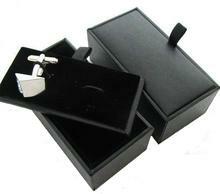 Swarovski cufflinks are an ideal present in opportunity of birthday, Christmas, graduation ceremony. Cufflinks are also an accomplished jewellery for wedding days or another feast-days.